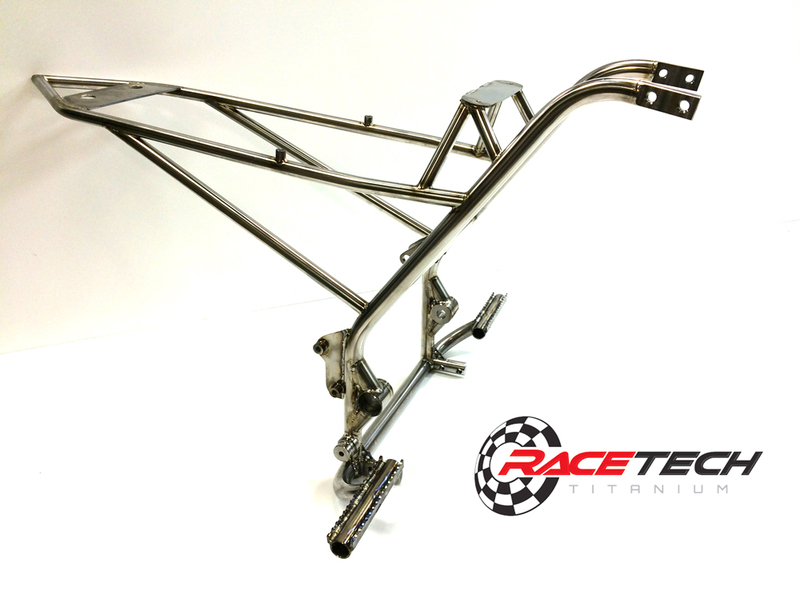 Check out the new Titanium Yamaha Raptor 700 Drag Midframe & Subframe. This thing is the most wicked upgrade you can get for your drag Raptor 700. 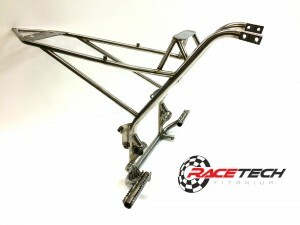 It is made to bolt up directly to the stock Raptor 700 main frame and use the stock seat. It is super light and looks amazing!! Replaces the Raptor 700 mid frame, sub frame, and foot pegs. Saves over 8lbs when replacing the stock parts. If you are a serious drag racer, there is no better upgrade for your bike!! This entry was posted on Saturday, August 9th, 2014 at 6:12 am and is filed under RaceTech News. You can follow any responses to this entry through the RSS 2.0 feed. You can leave a response, or trackback from your own site.